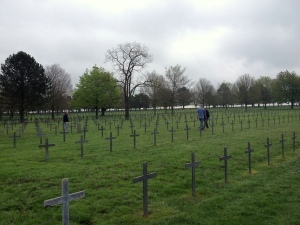 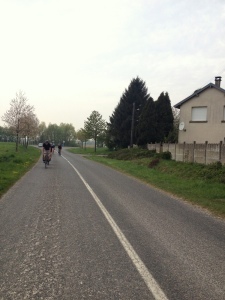 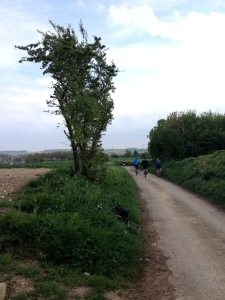 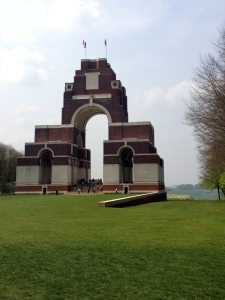 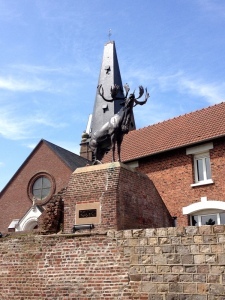 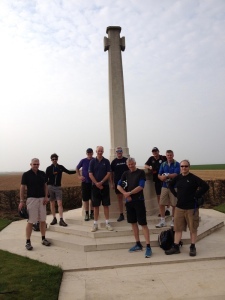 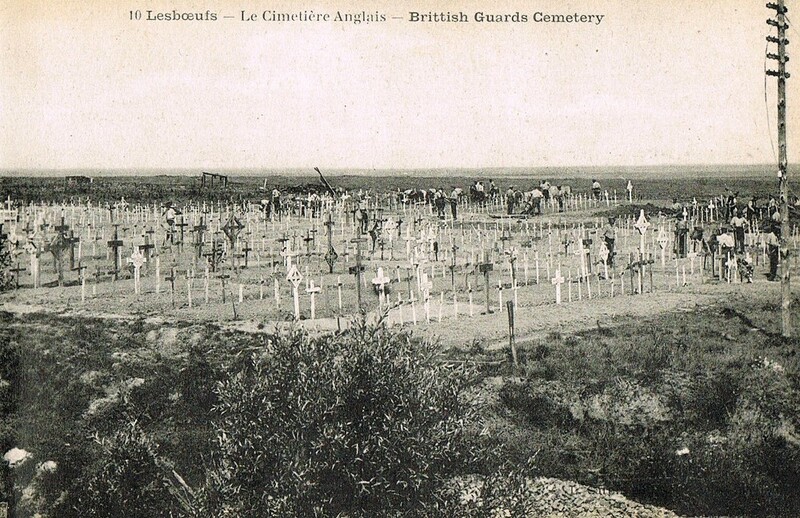 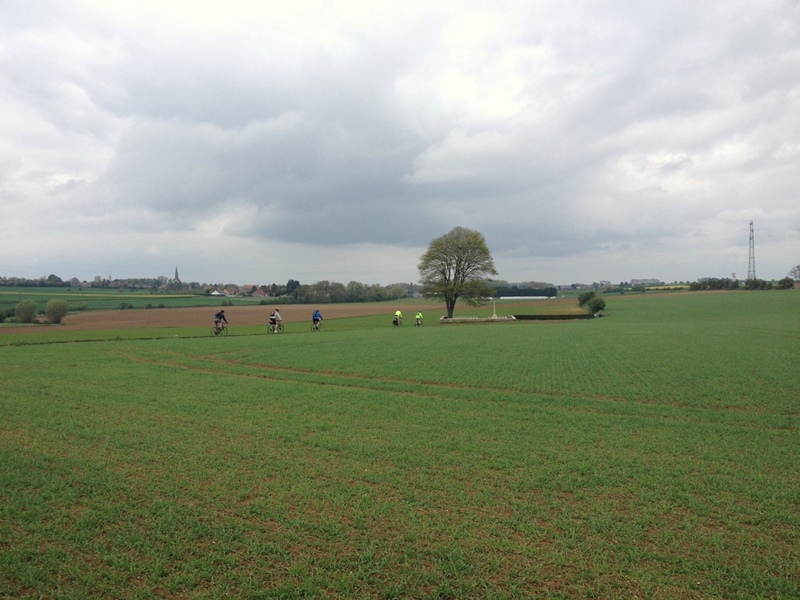 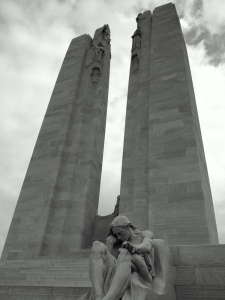 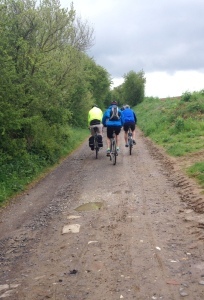 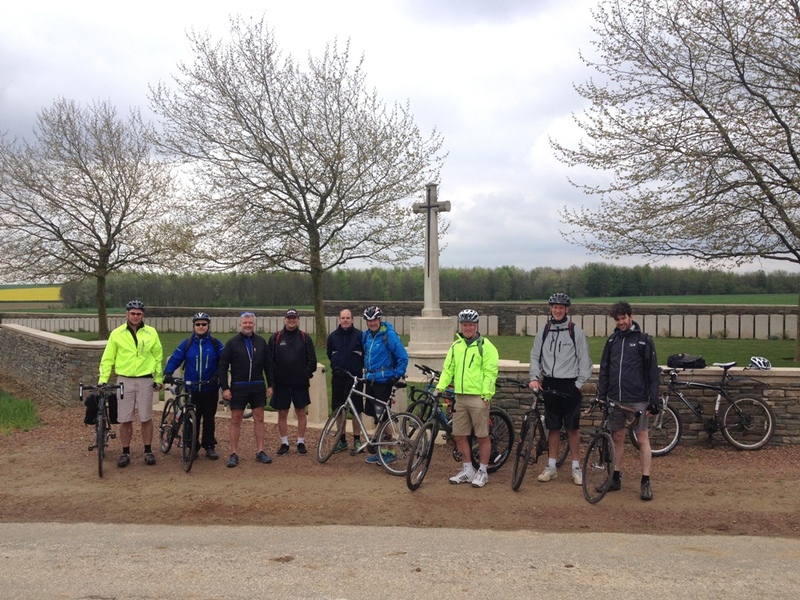 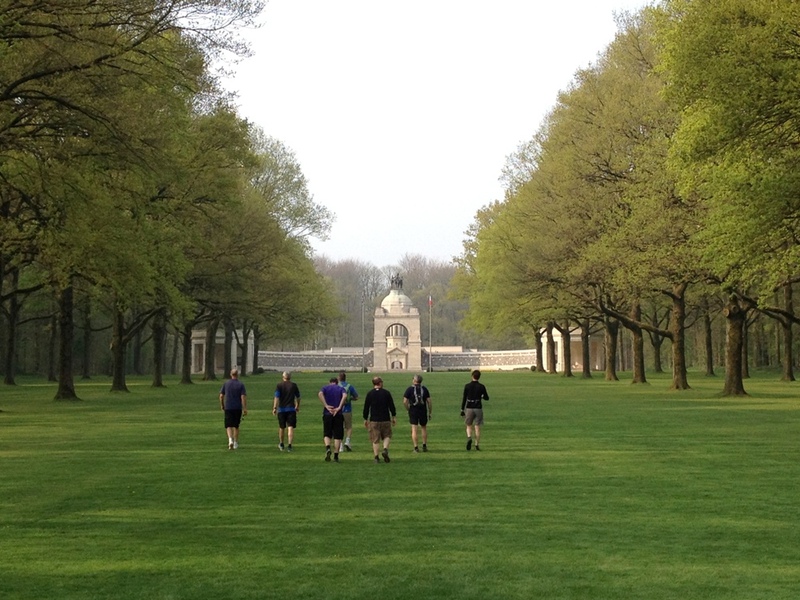 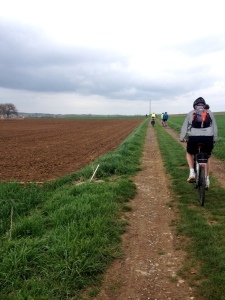 This entry was posted on Wednesday, April 29th, 2015 at 3:01 pm	and is filed under Battlefield Tours, Cycling the battlefields. You can follow any responses to this entry through the RSS 2.0 feed. You can leave a response, or trackback from your own site. 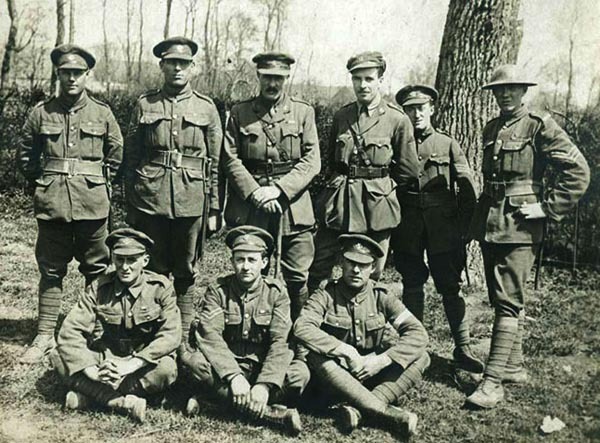 Many thanks for your post, Jeremy. 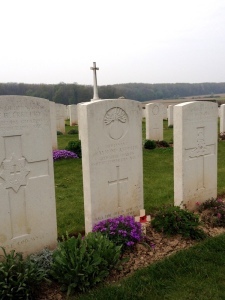 I visited my great cousin’s grave in the Fampoux Sunken Road Cemetery in 2013. If any cycling enthusiasts are reading this, I coincided my visit with a week long trip at Easter that year. Watching the Ronde van Vlaanderen on the Paterberg one sunday, I stayed at Ypres that night before spending a number of days visiting Tyne Cot and other WW1 sites. 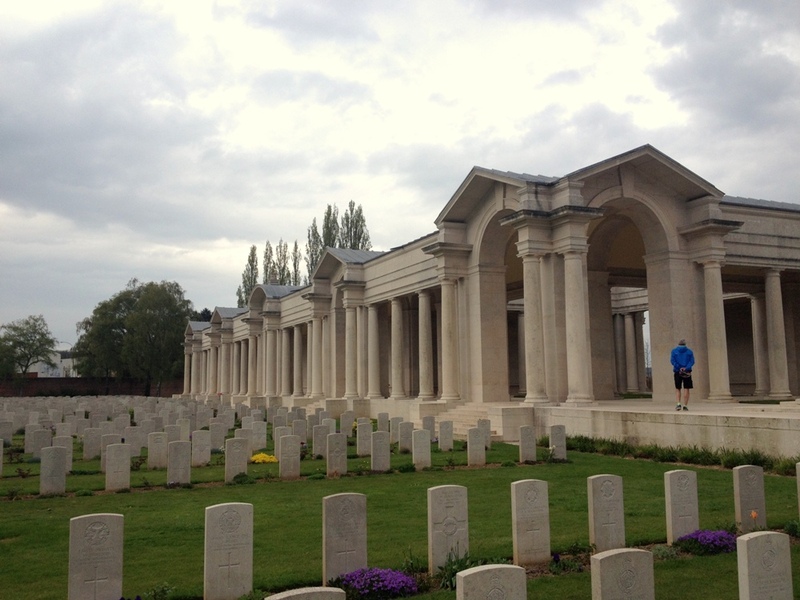 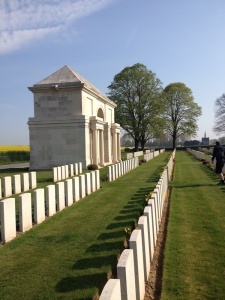 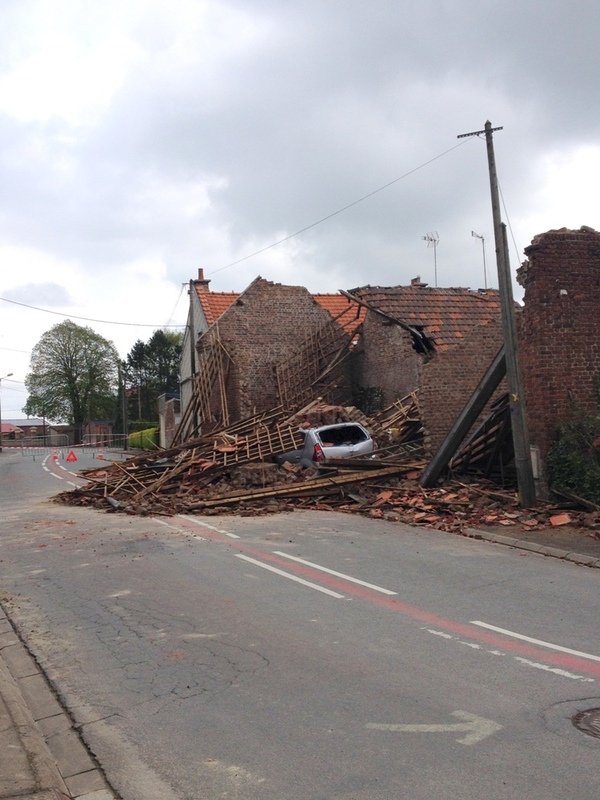 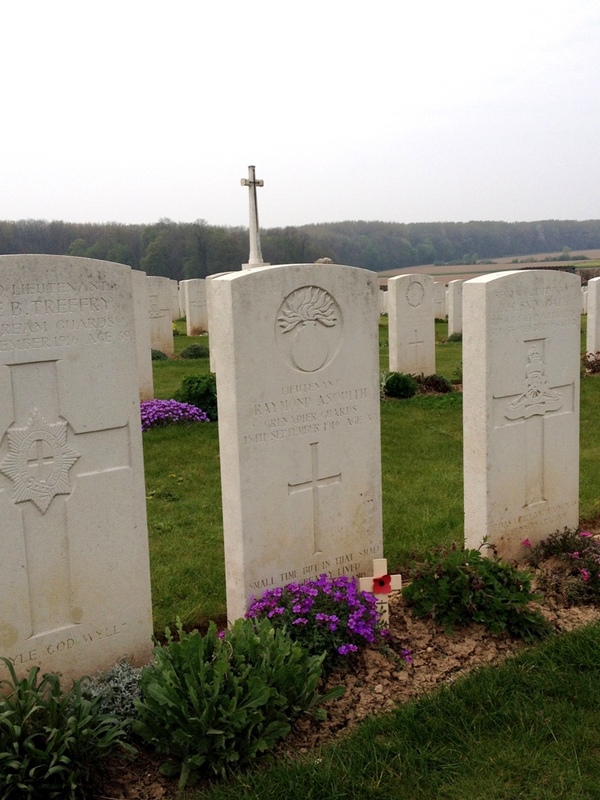 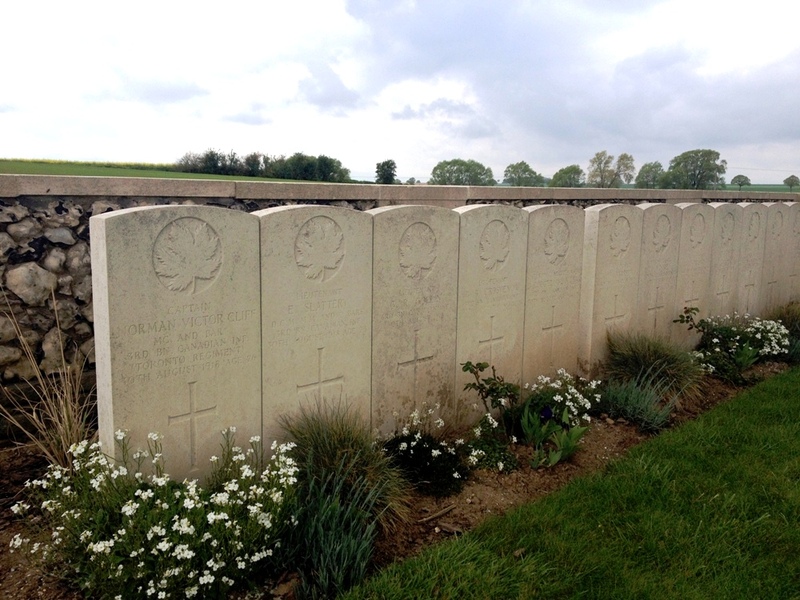 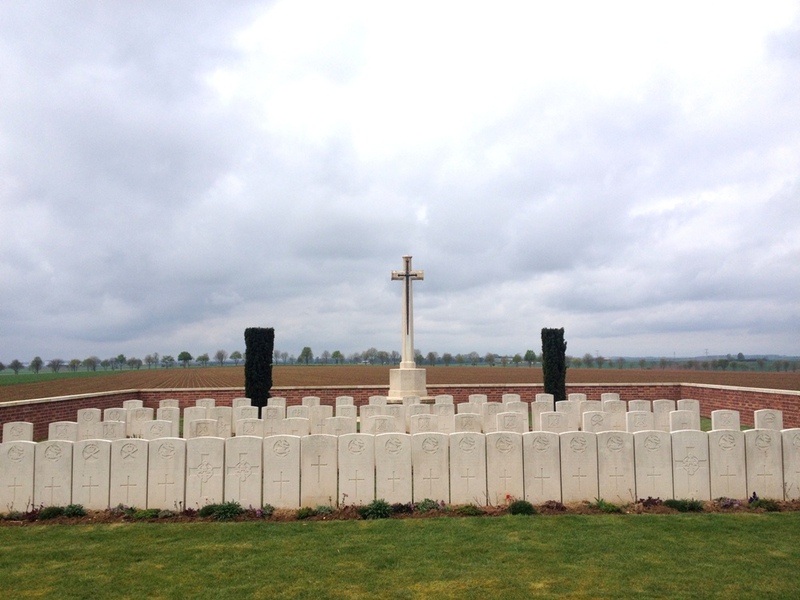 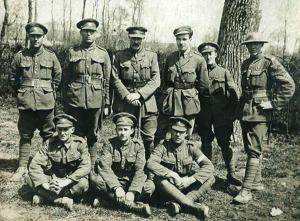 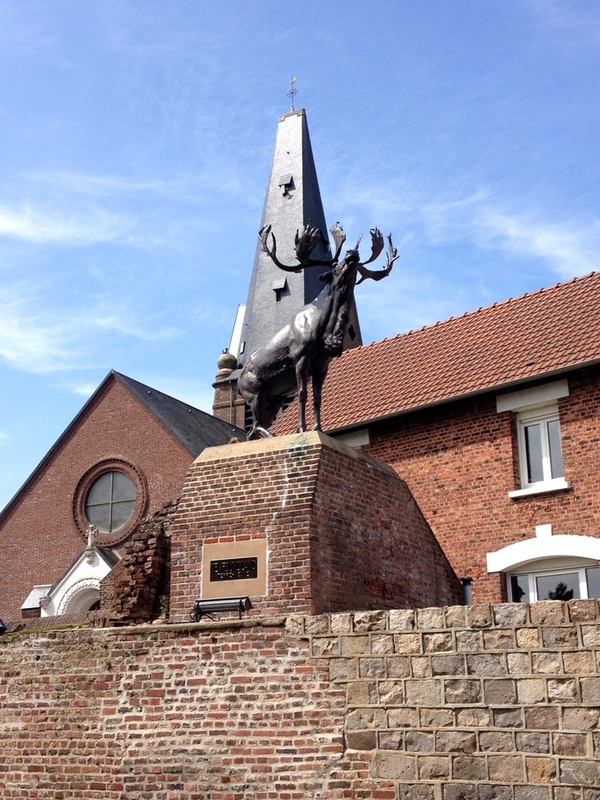 After a couple of days in Brussels I journeyed to the Somme, Arras and, of course, Fampoux. 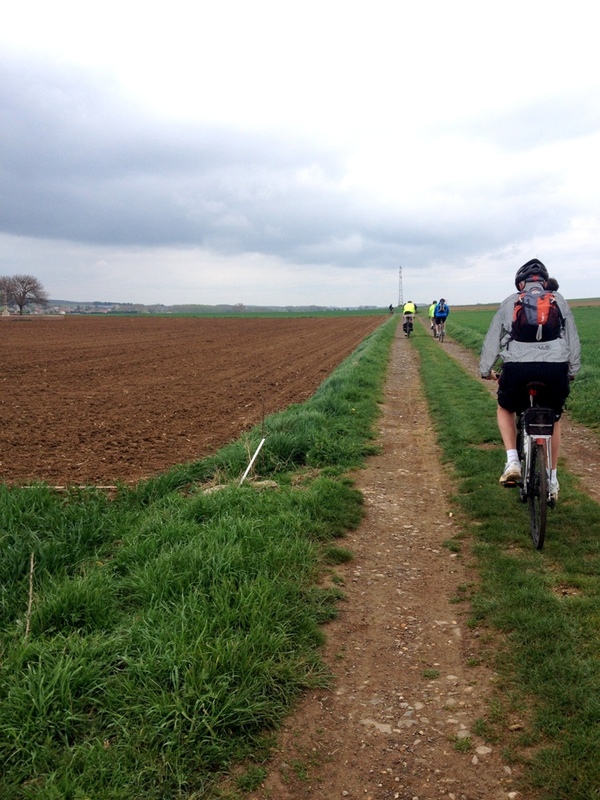 The end of that week was spent visiting the grade 4 and 5 cobbled sectors for Paris-Roubaix and the outdoor Roubaix velodrome. 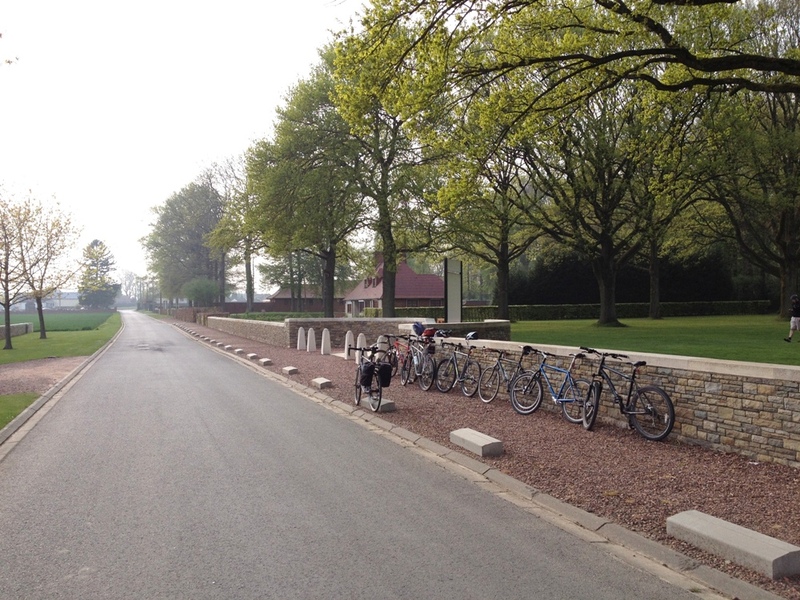 My final day was spent watching the great race in the Forest of Arenberg. In turns both sombre and exciting, I would heartily recommend others do the same when planning a trip to this beautiful land.